Are you smitten by the zombie survival games and looking for the best ones available on the Play Store? Voila! 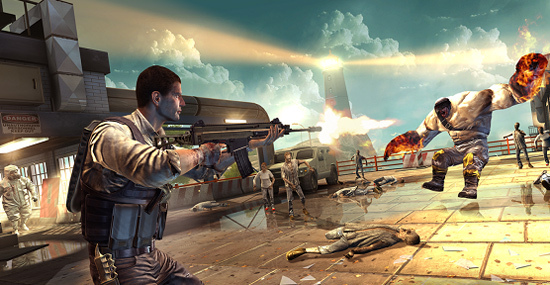 You are in for a treat as we bring you the list of the best zombie games for the Android device. Read on and smash up the undead! 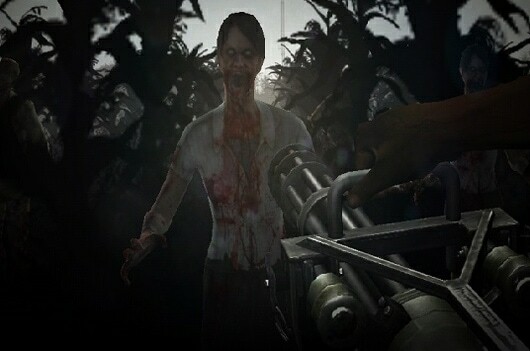 The zombie genre, once only a niche genre, has scaled the chart of popularity and earned its place among the hot favorites of game enthusiasts. Zombie games can be a lot of fun as they are actually a stockpile of all the genres and styles that you can think of. The games include first person shooters, puzzlers, RPGs, strategy games and more – the only common element is that they all feature the undead. 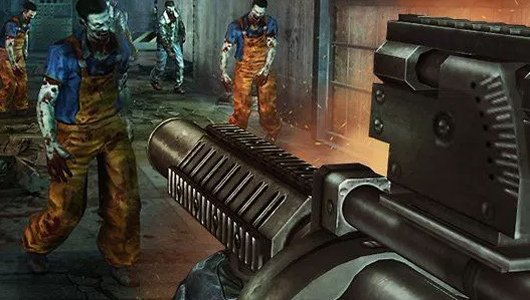 We have compiled a list of some of the best zombie games ever made and we will keep modifying the list as soon as we find something better for you. The first one to appear on the list of the best zombie games for Android is Plant vs Zombies. 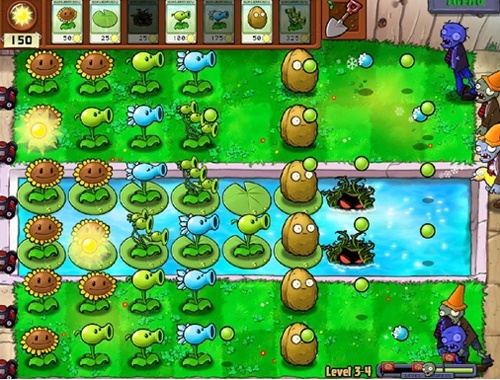 Plant vs Zombies is a tower defense sort of a game which is a combination of zombies and horticulture. You have to make strategies to protect your house from the zombies and use plants as your weapons to defeat the hordes of zombies. Now you must be pondering how plants can defeat zombies. Well, they’ve got phenomenal powers in this game – only you must know how to utilize them tactfully. This game will challenge you to constantly re-assess your strategy, and you are provided sufficient new category of plants when you finish each level to ascertain that you never get stuck with one modus operandi. The freshness and innovation of Plants vs Zombies are intact even though its been years since its initial release. Telltale’s The Walking Dead series is one of the best zombie games of all time. While other zombie titles would have you on a head chopping/blowing spree, this point and click puzzle/adventure explores the human side of the zombie apocalypse. Here your social decision-making prowess and temperament are put to test. 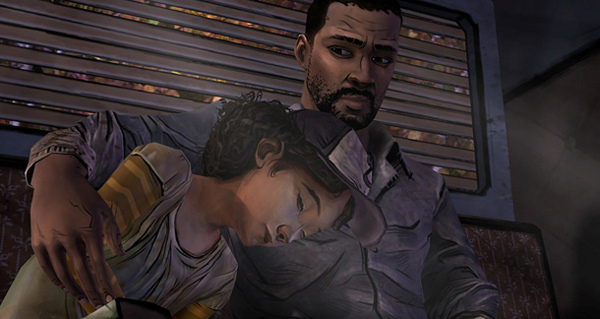 You play as Lee Everett, a convicted murderer who crosses paths with an orphaned little girl named Clementine. He has to protect her and avoid being taken out by zombies. The story lines are quite good, the graphics are decent. Both games (season 1 and 2) can occasionally strike a chord with your heart and follow an episode format as well. The first episode of each game is free and the final four in each game have to be purchased. 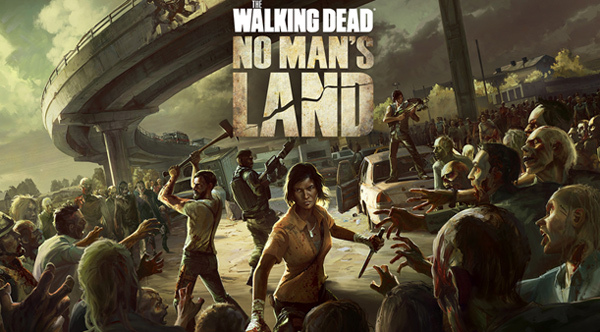 The Walking Dead No Man’s Land is a part of the three game series made for the hit television show The Walking Dead. This is a tactical game with RPG, action, and adventure features. You will be moving characters over a game board and attacking zombies in order to survive. You will be able to upgrade and develop your crew with the RPG elements. Additionally, you will get to make those authoritative The Walking Dead decisions like who lives and who dies. This game is definitely one of the best zombie games and worth a shot especially if you follow the show on TV. Unkilled is a first person shooter from the same makers who developed Dead Trigger and Dead Trigger 2. UNKILLED is a zombie shooter with fabulous graphics and a lot of content. You have over 300 missions to complete and an assortment of weapons to gather and upgrade. It is one of the most refined and engaging first person shooter games. You play as “Joe” and get “Clark” as your team mate. Together you will find survivors and rescue them.However, the catch is that not only will you deal with human-sized zombies but you will also face hulk-sized zombies and at some point, your partner will be taken hostage. 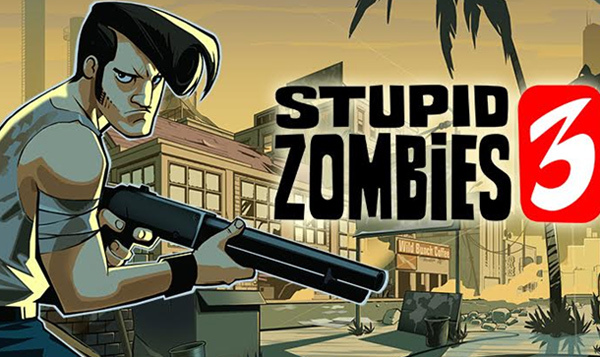 The Stupid Zombies franchise has been a smash hit on mobile. Stupid Zombies 3 is its latest iteration. It is a kind of fusion between Worms and Angry Birds. In other words, the gameplay is a mash up of puzzle and shooting. You must fire weapons in a smart way to kill all of the zombies. The game includes more than 120 levels and four guns, and as per the developers, more content is coming in the future. You are armed with a fireball gun which can be shot only a limited number of times. The zombies stand still at their places and you have to shoot the ball in such a way that it bounces back and kills all the zombies present for a maximum score. Initially, the game may feel easy but as you move ahead, it will prove to be shrewd enough to challenge your brain. Into the Dead is technically an endless runner zombie-shooting game. You will encounter a never ending troop of zombies and instead of cartoon graphics, you’ll get scary, silhouetted graphics that add a creepy touch to the ambiance. You will have a ton of weapons to use to attack the hoard. The game delivers a good visual experience as it is compact in size(file size). The game keeps challenging your mind which makes you weigh your every move. All in all, it is fun to play. An awesome zombie survival game with decent graphics quality despite the fact that it is just 22 MB packaged game. It is only fair to say that it is among the best due to the experience it delivers in spite of being a small-sized zombie game. You have to tap to shoot and you will even get to use the flamethrower. Unlocking cars is not as easy as it may appear. You have to drive a car and survive zombies that keep trying to jump on your car and flip you over. There are 18 weapons, 11 types of zombies, over 60 goals, and even daily challenges to help keep you hooked. Dead Target is one of the best first-person shooters. It is an FPS game where you can kill zombies with epic weapons, upgrade weapons and buckle up to face the upcoming zombie wave. Here, a powerful corporation attacked a neighboring country. And, then they captured the state prison as well. They started experimenting on the inmates and the experiment failed and turned some of the initial subjects into Zombies. Eventually, the outbreak spread infecting the entire city. Now, you are hired to kill them all and to rescue some of the survivors including a pretty girl who will assist you on your mission. You do not control the movement here as the game will walk you through to new locations automatically and you will have to shoot the zombies wherever you find yourself. 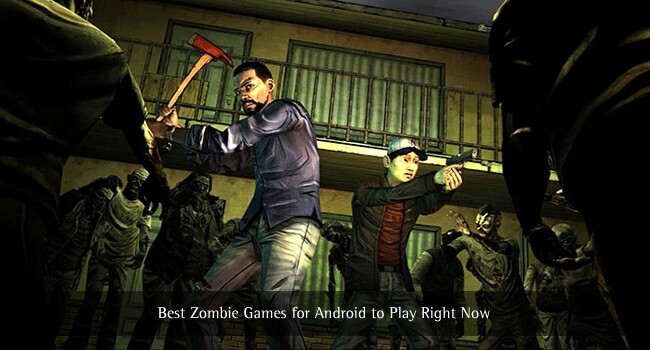 We hope that you liked this hand picked list of highly rated best zombie games for Android. 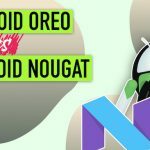 In case, we missed out on any other zombie games for Android that deserve to be on this list, do let us know through your comments at the end of the article! This is what I was looking for. The walking dead seasons look interesting. I would definitely try it out. Thank-you for sharing my favorite stream of games. Hello, Riddhi, awesome Collection of awesome games :) Thanks for sharing this fabulous list. This is the thing that I was searching for. The strolling dead seasons look fascinating. I would give it a shot. Much thanks to you for sharing my most loved stream of recreations. Hi, Riddhi, great Collection of magnificent diversions :) Thanks for sharing this marvelous rundown.